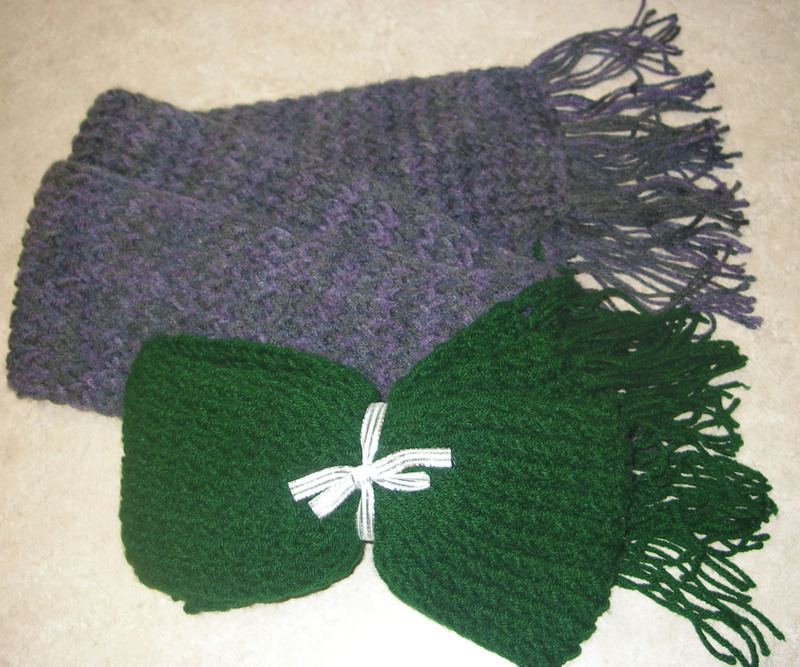 Cathy has donated these two beautiful scarfs that she created to include in our Christmas delivery. These are our first scarf donations and we are so excited to have them. We have always wanted to start making scarves as well, but have really not been able to find the time to do them. They usually take a bit longer than hats, so we appreciate the time that Cathy spent making these and are so grateful that she donated them to us. Thank you Cathy, we will be sure that these get out to some very special chemo warriors this Christmas holiday!